Dil Chori Lyrics: YO YO HONEY SINGH is BACK, and we are so happy to write this. The extremely talented artist who has been struglling with bipolar disorder for a long time, is now back to the business. 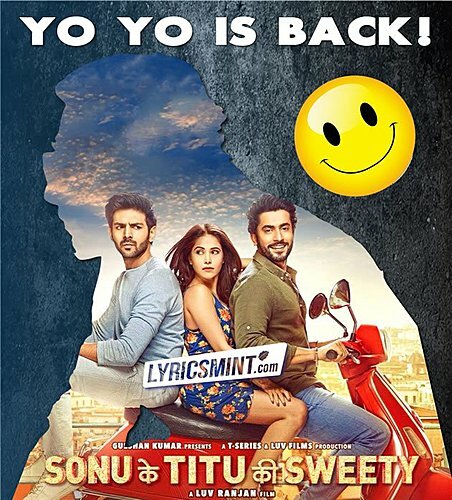 Honey Singh recreated Hans Raj Hans’ Punjabi song “Dil Chori Sadda Ho Gaya” with Hindi fusion, for Luv Ranjan’s Sonu Ke Titu Ki Sweety starring Kartik Aaryan. Honey Singh’s new song is sung by Simar Kaur, Ishers and Yo Yo himself.